I returned from a spendthrift spate in Barcelona this summer with a bank balance of minus £500 and the daunting prospect of funding my next year at university. I had three weeks to make as much money as possible, so I handed my CV in at every café and restaurant I could find in my area with the promise of complete flexibility and endless availability. In the bleak job climate of England and most of Europe today, the prospect of temporary work seems an attractive one for those in need of immediate employment and minimum commitment. As the government slashes services and public sector employment, people will increasingly rely on temporary work to survive. 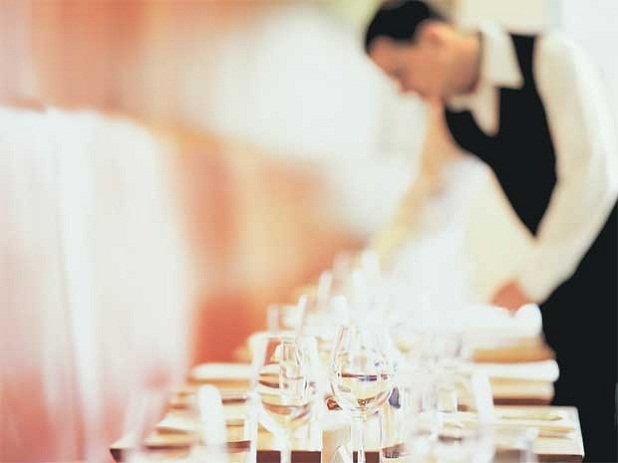 Statistics from a survey conducted in the US by the Bureau of Labor this year confirm that although employment has fallen in government, it increased in the leisure and hospitality sectors – with the biggest rise in “temporary help employment”. It’s a similar picture here in Britain, with the official statistics for 2010 already beginning to show sharp decreases in the number of public sector workers, and an increase in private sector employment – much of it, of course, temporary and part-time. On an international scale, we should remember, race, gender and class discrimination have long forced countless people into temporary or menial work for their entire lives, without legal rights or access to any official channels for challenging their employers. The promise of cash-in-hand work without the hassle of a contract or set terms of employment appeals to the most vulnerable in the economy: young people, single parents, immigrants. The vulnerability of this sector of society also makes them an attractive choice for employers looking to evade the extra costs and commitments of employing staff legally. Without proper legal status (whether as citizens without documentation or employees without a contract), temporary workers are condemned to a life in limbo; unsure of how much they will be paid, when, and how. Employers often evade the question of hourly rates and methods of payment until temporary workers have already begun working in a given position, which traps the employee in a lose-lose situation: complain and you lose both the job and the money, don’t complain and you risk unfair payment. My promise of complete flexibility and prior experience secured me a job in an independent coffee shop in Manchester almost immediately, although my rate of pay was not established nor was I given a contract. I was promised a five-day working week, weekly payment in cash and a day of training, none of which I received. Instead, I was expected to come in at half an hour’s notice, work without a single break for eight hours, and leave without knowing how much I had earned. When labour is a commodity, flexibility makes you simultaneously valuable and vulnerable. My Polish colleague complained to me that the manager would routinely call her in on a day off. When she protested she was told that she ought to be grateful for the extra work. The notion that flexibility means complete availability (without the right to refuse) is a dangerous one, and is commonplace in part-time or temporary work. Temporary workers are usually looking to make as much money as possible in a short period of time and managers are aware of this, exploiting the vulnerability and economic disadvantage of temporary employees in order to maximise their own profit and suit the needs of their establishment. Thus you might be promised 40 hours of work in a week and receive 32, only to be called in on a day off and told that you have no choice but to work if you want to keep the job. The economic pressures on temporary workers breed compliance and an unwillingness to complain about unfair working conditions. On my first shift in the coffee shop I asked a colleague half-way through our eight-hour day when we would be having our breaks. “Ask if you want one,” she said, “but I wouldn’t if I were you.” That the majority of temporary workers know that they are, by law, guaranteed a break if they work more than five hours, does not change the fact many of them are unwilling to ask about it if it isn’t made clear by their employers. The risk of unemployment and the lack of protection which comes as a result of working without a contract both secure your servility and prevent you from coming together with colleagues on topics of common dissent. As a temporary worker I discovered that this attitude of compliance verging on apathy, which the insecurity of temporary work entails, is somewhat contagious, but leaves you prone to harassment and robs you of an appeals process against unfair decisions. I also discovered that the odd sexist comment from my manager was considered insignificant in comparison to the conditions which my female friends who worked in bars often endured. Temporary work is heavily gendered, and many women I have spoken to have had managers who sexualised them unabashedly. They were encouraged to wear revealing clothing and expected to comply with ‘soft’ sexual harassment in the form of unwanted physical contact and explicit comments. Patriarchy is inherent in the system of temporary work as women are among the most vulnerable sector of society economically. Many of those who work in the hospitality sector do so because they are aware that employers positively discriminate towards attractive young women and, as such, they (the women) feel forced to accept harassment as a feature of their employment. The idea that women should shoulder the burden of temporary work as a half-way house form of employment, which allows them to work and also comply with their socially-defined roles as women, is widespread and dates back to the introduction of women into the workforce. Within the coffee shop I quickly realised that new male employees were immediately treated with a view to becoming potential managers or supervisors: they would be shown the delivery schedule, encouraged to work on the coffee machine and told that other ‘pettier’ jobs (cleaning, serving customers) were the realm of ‘the girls’ (a universal phrase used to describe us despite the fact that our ages ranged from seventeen to twenty-five). The promise of pay rises and promotions kept me and my colleagues (and particularly our immediate superiors) from uniting with a view to improve working conditions for the workforce as a whole. Each individual was encouraged to think about the potential betterment of their own situation, instead of the improvement of work conditions for their colleagues. The strategy of delegating power to certain workers was remarkably effective in preventing unity amongst the staff, with each individual vying for a minor improvement in their own personal condition rather than working collectively with their colleagues to improve the situation for everyone. The humiliation endured as part of adopting an attitude of compliance – a necessity for any temporary worker – breeds a fervent desire to move up the ranks and slowly regain dignity. Worse still, the cycle is unending, creating a new set of power-hungry sub-managers at every level. With a new wave of public sector cuts promising to hit the most vulnerable hardest, more and more people are turning to temporary or menial work as a solution to economic hardship. Without efficient collective action and enforced legislation, it is difficult to imagine they will face anything but exploitation in the workplace. When my three weeks were up and the prospect of packing for my year abroad became imminent, I couldn’t keep myself from sharing the news with the girls I worked with so that I could at least say goodbye (the managers were still unaware I was planning to leave). When the café was quiet and we had a moment to chat, one of the girls I worked with who had a young daughter explained that she was also hoping to leave and start working from home selling Avon catalogues instead. We were interrupted by our manager: “Time to lean means time to clean!” I exchanged a look with my friend, marvelling at his apparent lack of basic humanity, as we both turned around to wipe half-heartedly at a clean worktop. Jumanah Younis is a writer and activist. She is studying Spanish and Arabic at the University of Oxford, and is currently living in Cairo. Thanks for this excellent article. You highlighted an issue which plagues thousands, I’m sure millions all over the world. For many of us, it’s an experience which we only have to endure for a short period of time – for so many others, it is their entire lives. I’m thinking two words: Workers Revolt! Interesting article. My own experiences with temp work seem to have been a bit different to yours. Perhaps I was lucky in having less pressure from bosses. 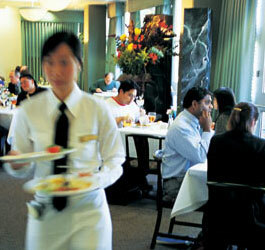 I worked for several summers as a temp waiter for events in the rural area I grew up in. Those of us who did it for the money and had no loyalty to anything else quickly worked out how much we could slack undetected which turned out to be quite a lot. We would use any opportunity we had to take breaks, stole food and drank on the job. We figured if we were going to be paid peanuts we might as well make up the difference in other ways. Very good article – accords with plenty of experience. The gendered nature of temp work is something that is particularly significant (yet rarely discussed). Really insightful and well written article, well done! You should report your coffee shop to local law enforcement.